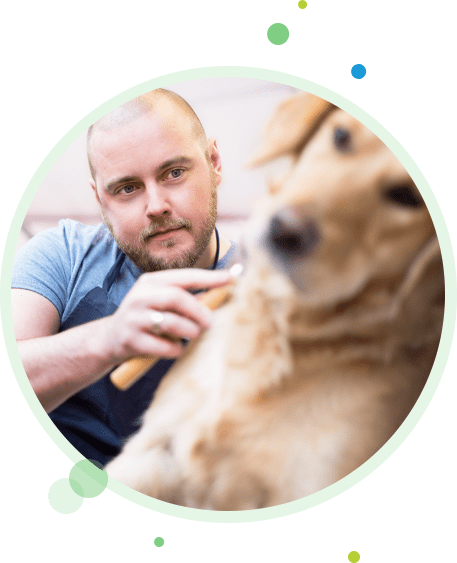 Dogs that are social or visit pet businesses, such as doggie daycares, groomers, boarding facilities and dog parks, are at risk for infectious diseases.1 Heroes for Healthy Pets was created to help veterinary and pet businesses professionals keep their facilities disease free. The program provides best practices for preventative care, including strategic vaccination and cleaning and disinfection protocols, to help maintain disease-free facilities and keep pets healthy. Our goal is to present best practices for disease prevention and control. 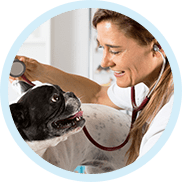 Heroes for Healthy Pets provides two hours of RACE-approved continuing education for veterinary professionals and two hours for PACCC-approved continuing education units for pet service professionals. To take your free courses and earn your certificate – REGISTER WITH VETFOLIO HERE. Learn how to prevent and control infectious disease outbreaks in your clinic or business. Provide this educational booklet to your customers to help spread the word about infectious diseases. 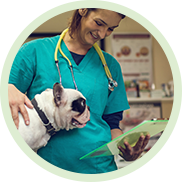 The Heroes for Healthy Pets Infectious Disease Management Certification program is open to all veterinary and pet professional businesses. To become certified, the business must have at least 50% of staff individually certified. Download and complete the application below to begin. Check out these informative and educational podcasts hosted by veterinarians to learn how to keep pets happy, healthy, and safe from infectious diseases. 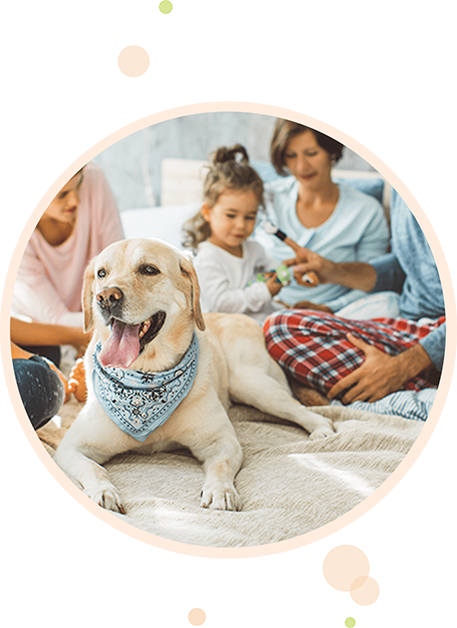 Dr. Courtney and special guests from Clorox Healthcare, Sarah C. Bell-West and Richard Lowe discuss five tips to make a pet parent's home clean. Dr. Courtney chats it up with Ilene Zeins and her socialite Maltipoo ZZ on Pet Life Radio. How important is it to socialize with your pet and what are certain health needs? Carmen Rustenbeck joins Dr. Courtney again and discusses easy ways pet owners can make smart travel plans. Dr. Jason Stull, of the Ohio State University, joins Dr. Courtney and talks all about infectious respiratory disease in dogs. Dr. Michelle Evason, an expert on Lyme disease in dogs, joins Dr. Courtney for this very informative show all about how to prevent Lyme disease in your pet. Dr. Courtney speaks with shelter vet Dr. Brenda Dines about how to take care of your newly adopted pet. Join Dr. Courtney and his special guest, America's Pet Advocate, Dr. Ernie Ward and learn how to pick the perfect pet. Dr. Courtney Campbell welcomes back Dr. Kathryn Primm to discuss the recent discovery of H3N2 canine influenza virus or Dog Flu. Dr. Courtney talks Fear Free veterinary care and how to take the stress from your pets during their doctor visits. Dr. Courtney is joined by expert Dr. Michelle Evason, to discuss leptospirosis and how to prevent this dangerous disease. Dr. Courtney Campbell welcomes Dr. Justine Lee to the inaugural show to discuss infectious diseases. Dr. Justine Lee discusses the use of blood transfusions in dogs and cats. When do dogs and cats need plasma or blood transfusions? Dr. Justine Lee discusses what to do if your dog or cat is vomiting. When do you have to go to the emergency veterinarian? Dr. Justine Lee discusses winter safety tips for dogs and cats. How do you keep your pets healthy and safe during cold weather? How at risk is your dog? What signs will my dog show? How can I prevent my dog from getting Canine Influenza Virus? Dr. Justine Lee discusses "bloat" in dogs, a common life-threatening emergency that requires immediate treatment and surgery. Getting ready for the holidays? Beware the dangers in the house that are poisonous to your dog and cat! Pancreatitis is inflammation of the pancreas, and can be mild to life threatening. Dr. Justine Lee discusses the fall dangers we see this time of the year in the animal ER. Dr. Justine Lee discusses what to do if your dog or cat got into mouse and rat poison (called "rodenticides"). What you need to know about leptospirosis and how to keep your dog safe. Dr. Justine Lee discusses what to do if your cat isn't urinating normally. Dr. Justine Lee talks about Halloween dangers poisonous to your dog and cat! Dr. Justine Lee discusses what dog owners need to know about bringing their dog into the veterinary ER. Una nueva variación del flu canino ha surgido, y en solo tres años se encuentra a nivel epidémico. La Dra. Marta y el experto en salud publica veterinaria, Dr Armando Hoet, se unen para discutir la infección de la Leptospirosis. Heroes for Healthy Pets is co-sponsored by the International Boarding and Pet Services Association, the National Association of Veterinary Technicians, Pet Sitters International, Barkleigh Productions, AKC Canine Health Foundation, VETgirl, and PetVet Magazine and is powered by Clorox Healthcare and Merck Animal Health, makers of Nobivac® vaccines. 1. Kennel and Boarding Recommendations, AAHA Trends, February 2017.